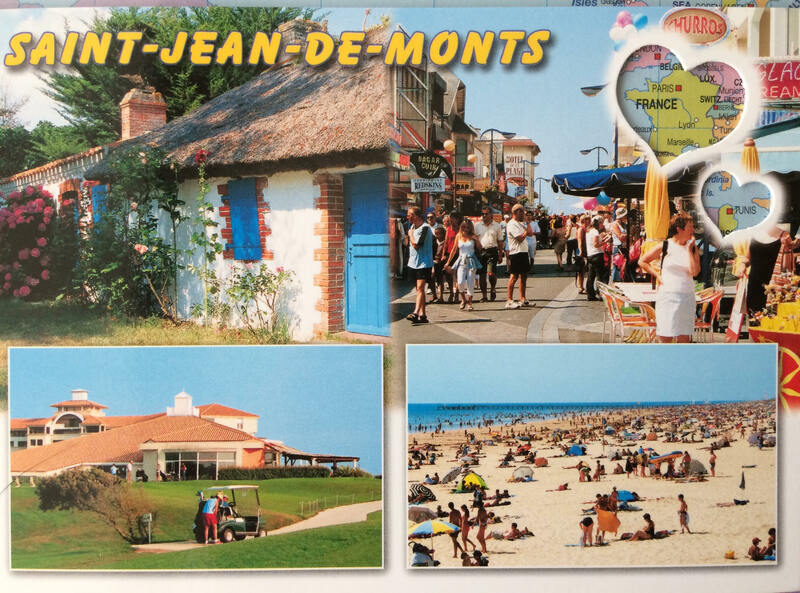 Thanks to Cody for sending this postcard of the French resort twonof Saint Jean de Monts on the west coast of France. The sandy beach is over 8km long and the low tides make a wide beach with a flat profile, ideal for walkers and cyclists. Also ideal for dog walking, which might suit Cody very well.